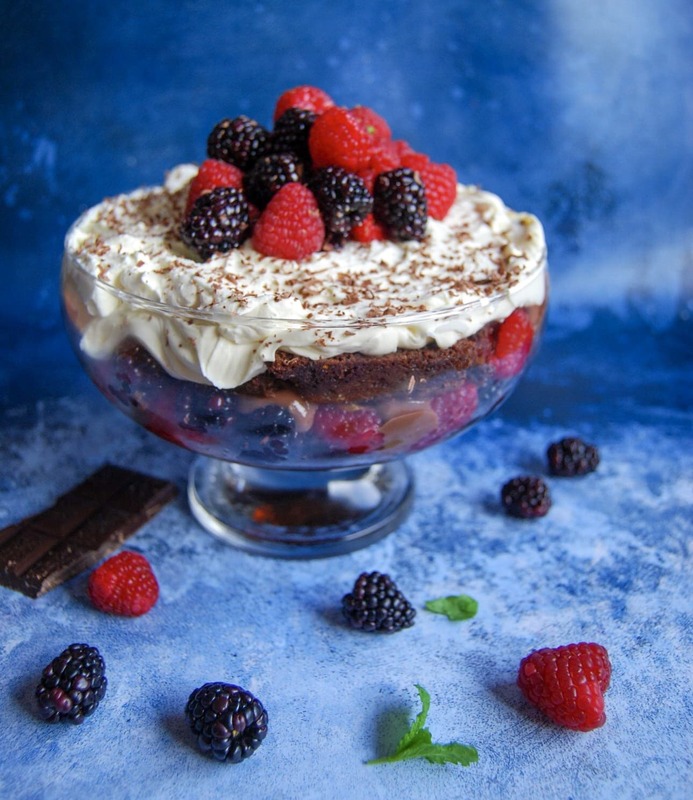 This easy assemble chocolate brownie berry trifle is a showstopper of a dessert that is sure to impress! 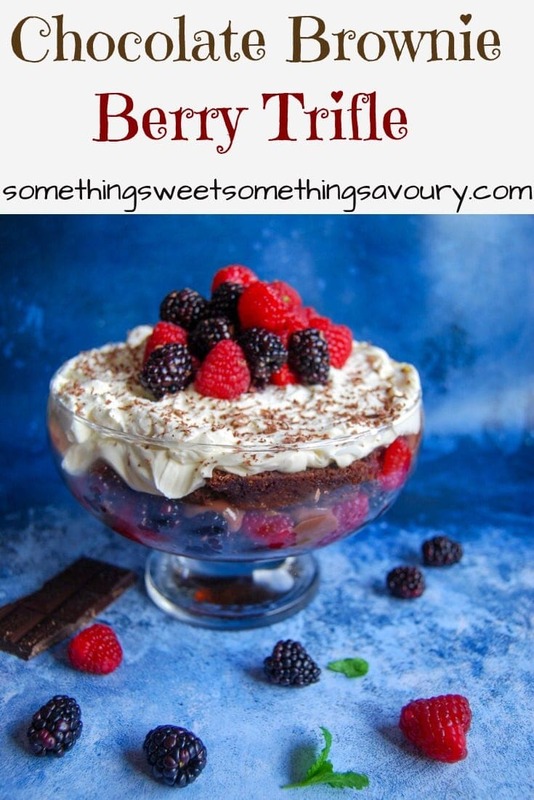 It’s been a while since I shared a dessert recipe on here and since Valentines Day is just around the corner, I thought it was the perfect time to post this indulgent chocolate brownie berry trifle. So what is exactly in this trifle, I hear you ask? Well let me tell you. 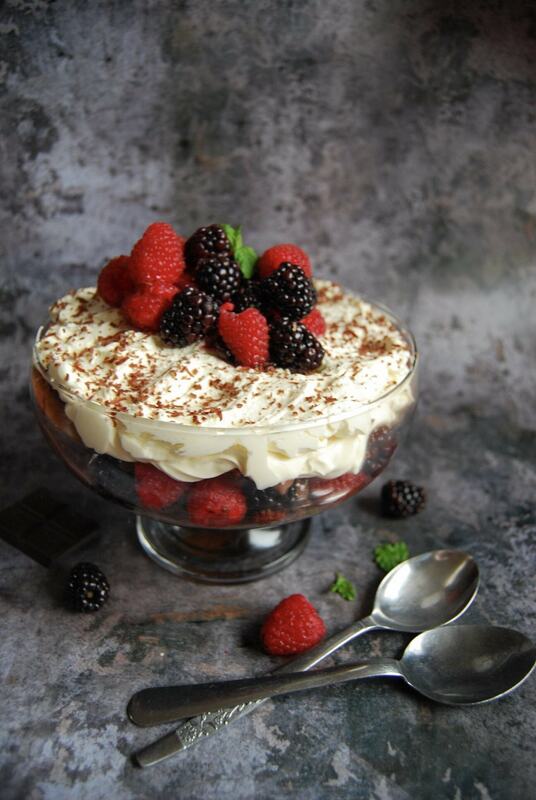 Chambord (raspberry liqueur) soaked berries. I’ve had the idea of making a trifle with brownies for a while now, but I hadn’t actually intended to post this recipe so soon. I made these white chocolate and raspberry brownies last week and I made a rookie error – I accidentally put too many raspberries in the batter, which resulted in them being pretty much impossible to get the brownies out of the tin in one piece! While they were delicious, they looked a mess. So I decided they would make a perfect base for a trifle. The ones you can see peeking out of the picture above were the best looking pieces! But it honestly didn’t matter one bit – this trifle was absolutely incredible. It’s one of those desserts that look worth of any celebration, but in reality is very easy and simple to make. The most complicated part is making the chocolate custard – but my foolproof recipe is very simple and doesn’t take very long at all. You do need to make the custard in advance – I made it the day before I made the trifle. Can I use store bought brownies? Yes you can – if they are the mini brownies bear in mind you’ll probably need about 15-20. Or you can use your favourite homemade brownies – I used this recipe. Do I have to use alcohol? No – you can substitute the Chambord for the juice of half an orange. Can I make this trifle in advance? You can make the trifle up to one day in advance. Cover with cling film and keep in the fridge until you’re ready to serve. 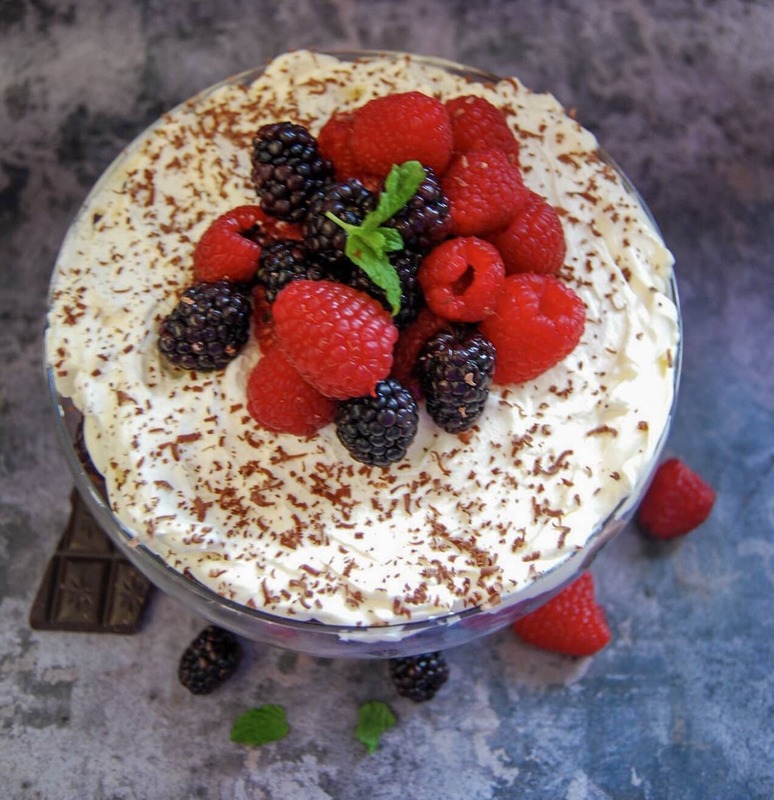 If you make this trifle, I would love it if you would share a picture with me on Facebook or Instagram – or simply just leave a comment below. Thanks! 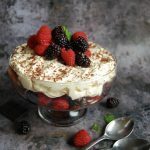 This indulgent trifle with chocolate brownies, Chambord soaked berries and chocolate custard is the perfect Valentine's Day dessert! Beat the egg yolks and sugar together well, then stir in the cocoa powder, vanilla extract and cornflour. Bring the milk to the boil in a medium saucepan. Remove the pan from the heat and gradually pour the hot milk into the egg yolks, whisking constantly. Return the mixture to the saucepan and cook, stirring with a wooden spoon all the time, until the custard thickens. Remove from the heat, pour into a heatproof jug or bowl and leave to cool completely. Place the fresh berries in a small bowl. Sprinkle over the icing sugar, vanilla extract, Chambord and chopped mint leaves. Leave for 10 minutes. Cut the brownies in half down the middle and place one layer of brownie pieces in a medium trifle bowl. Spoon over just under half of the berries. Pour over half of the cold chocolate custard, then place another layer of brownies on the top of the custard. Spoon over the rest of the berries, then top with the rest of the chocolate custard. Carefully spoon over the softly whipped cream. Just before serving, top with chocolate shavings and extra berries. How bonkers is this…only just yesterday I made a chocolate goo cake that didn’t turn out gooey, so I diced it up and asked on instastories if I should make them into a brownie sundae or a chocolate trifle…the majority said sundae…but my heart says trifle….love this recipe, going to give it a go now I have the main ingredient! I love combining chocolate with fruit, especially berries, so I can imagine how delicious this dessert is. Thank you for bringing it to #CookBlogShare! Oh yum! I’d never thought to have triffle for valentines day but it’s such a good idea and this one is definitely more romantic than most!